We’re all set to discover a plethora of awesome new brands launching fresh into the market plus all the new wares from our familiar favourites in what has to be considered a treasure trove of awesome furniture, clothing and toys. That’s right, we’re bound for Playtime Tokyo! 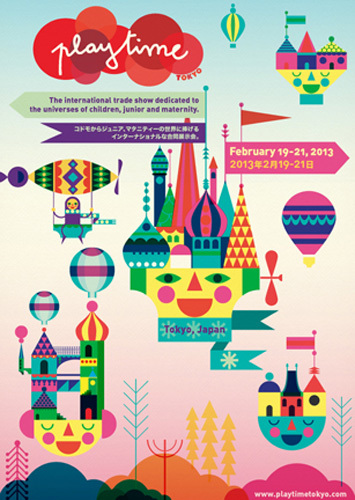 Held in Tokyo, home of all things kawaii, we’re expecting a massive show brimming with variety. Playtime Tokyo is spread over three huge days and we will be keeping our eyes peeled for up and coming new brands to bring to you and give you a glimpse of what’s coming and what’s completely on trend for the seasons ahead. Let us know in the Post a comment section below, what you’d love to know or see from the show and we will do our best to keep our eye out for you!